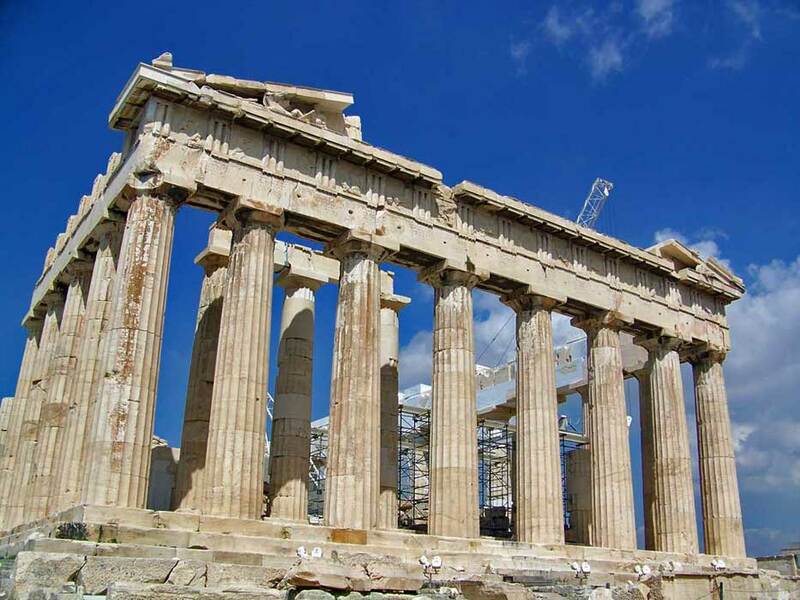 The Parthenon is the premier attraction when you visit Athens. 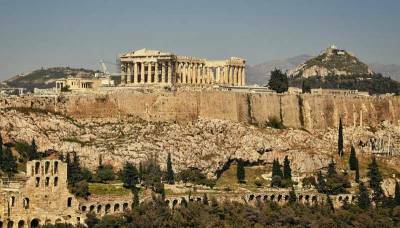 The Parthenon is downtown on a hill top known as the Acropolis, which overlooks the modern city. 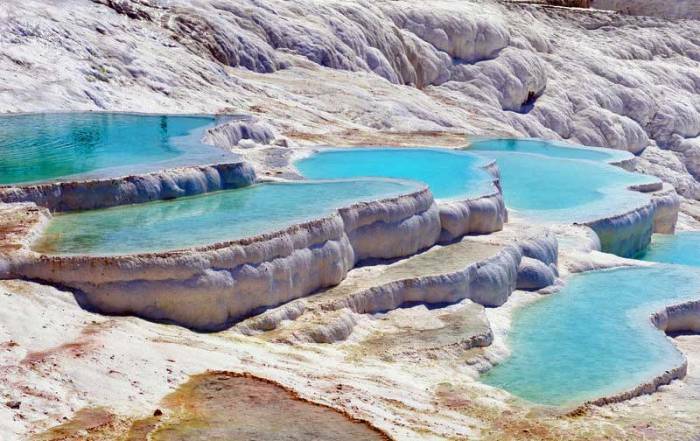 The site dates back to the 5th century B.C. 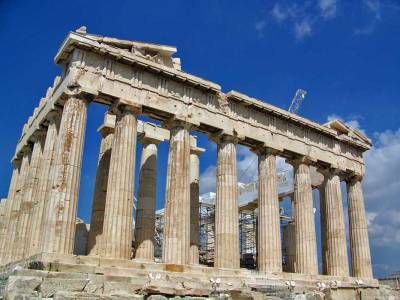 The intricate carvings that adorned the Parthenon were removed by the British and taken to the Royal Museum in London. 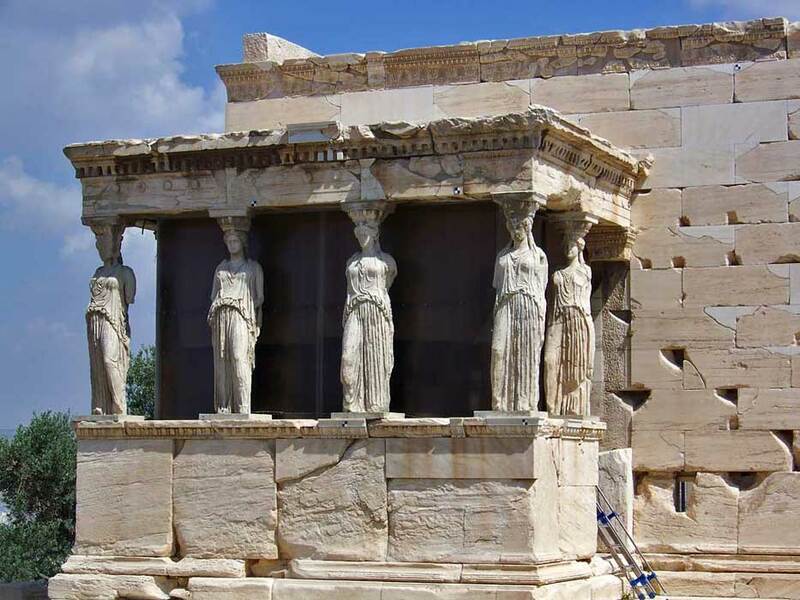 Beside the Parthenon, on the hill top, is the Erechtheion, with 6 columns carved as maidens supporting the structure. 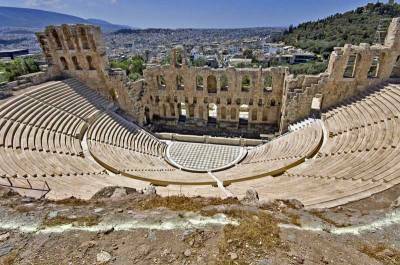 The Theater of Herod Atticus is at the foot of the hill and is often used for live performances . The Theater of Dionysious and the Acropolois Museum are at the foot of the hill too. Below the hill top of the Parthenon are the extensive ruins of the Ancient Agora. The Agora was the market area of the ancient city for 800 years. Socrates, Aristotle and Plato walked these grounds. 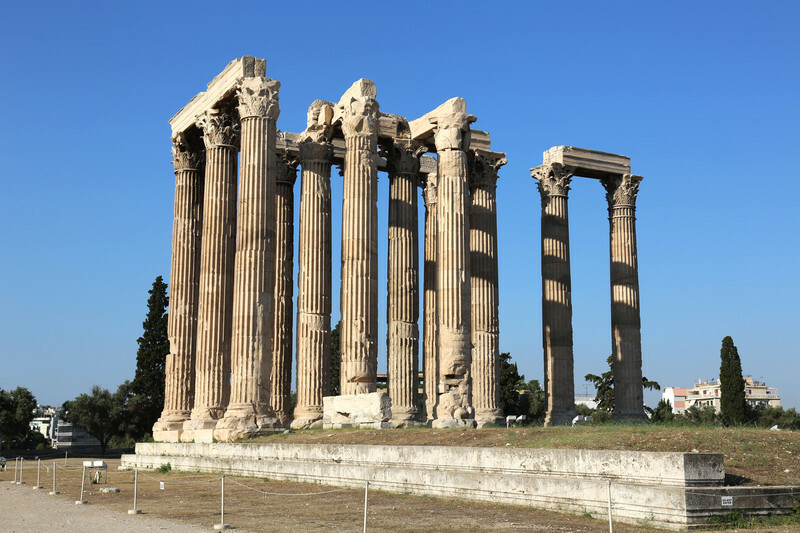 The Temple of Hephaestus is a highlight and is better preserved than the Parthenon . The Museum of the Ancient Agora has reconstructed the Stoa of Attalos covered walkway, so you can take a pleasant walk through the columns of the covered portico. Along the northwest edge of the Agora is the Kerameikos or potter’s area, plus the Athens City Museum. Kerameikos is the origin of the English word “ceramic”. 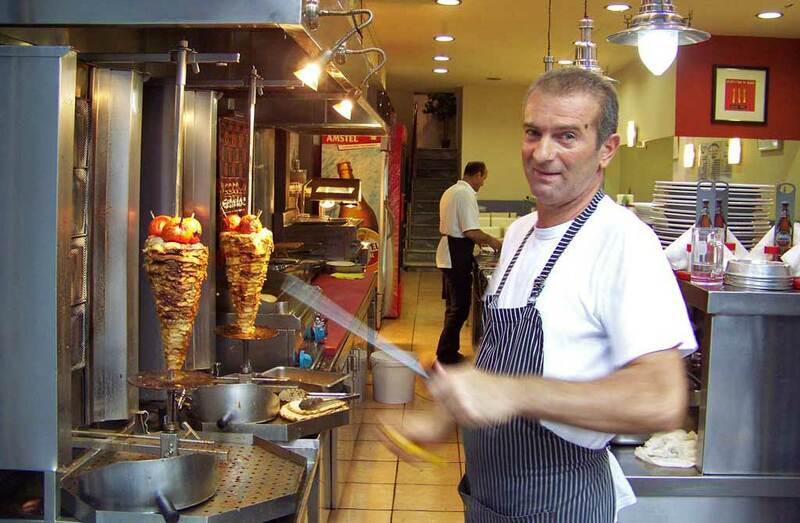 In the area called the Plaka beside the Agora, you will find souvenirs and very inexpensive gyros and souvlakis. The Monastiraki Flea Market happens here on Sundays. 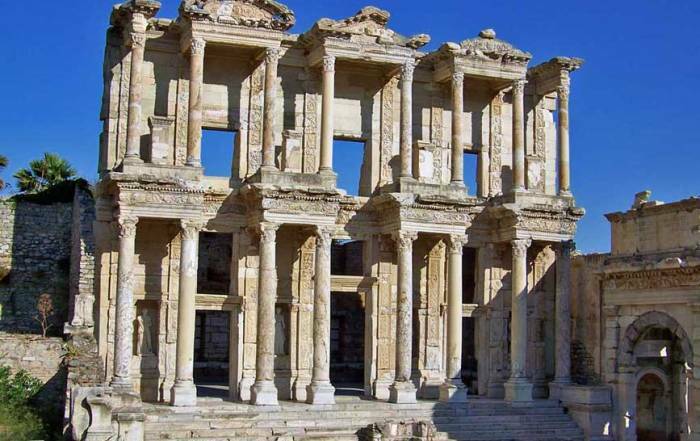 The ruins continue into the city at Hadrian’s Library. Constitution Square (Syntagma Square) is where the people of Greece demanded and received a constitution. The Royal Palace faces Constitution Square. Each hour the elite soldiers known as Evzones, dressed in kilts, strut past the Tomb of the Unknown Soldier. The National Gardens is directly off Constiution Square. The National Gardens has an African rainforest right in the middle of the desert climate of Athens. Ermou Street off Constitution Square has been converted to a pedestrian only avenue. The National Archaeological Museum is one of the most commonly visited attractions for a visit to Athens. The museum has the best collection of Greek antiquities in the world. Taking a private walking tour from Constitution Square that includes the National Archaeological Museum. 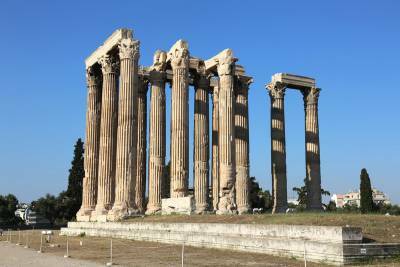 Temple of Olympian Zeus – the largest of the Greek temples. Visit the Panathenian Stadium, site of the first modern Olympic Games in 1896. Also stop by Omonia Square. 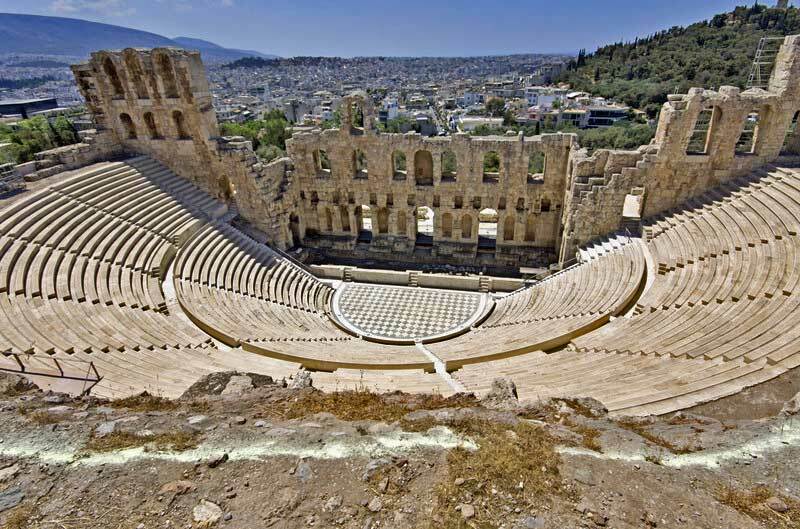 Mount Lycabettus – an amazing view, a cafe and an amphitheater with great performances. Hotels in the Plaka area at the base of the Acropolis often have roof top dining with views of the lighted Parthenon each evening. If you don’t stay at one of these hotels, try to at least have dinner at one of them. Head to Athen’s port of Piraeus and catch one of the many ferries to the Aegean Islands. Try a Hydra, Poros and Egina Day Cruise from Athens. No cars are allowed on Hydra, so donkeys are used to deliver goods from the port. For further ferry information, check out Blue Star Ferries and ANEK Lines. Temple Of Poseidon at Cape Sounion on the Attiki Peninsula outside of Athens. 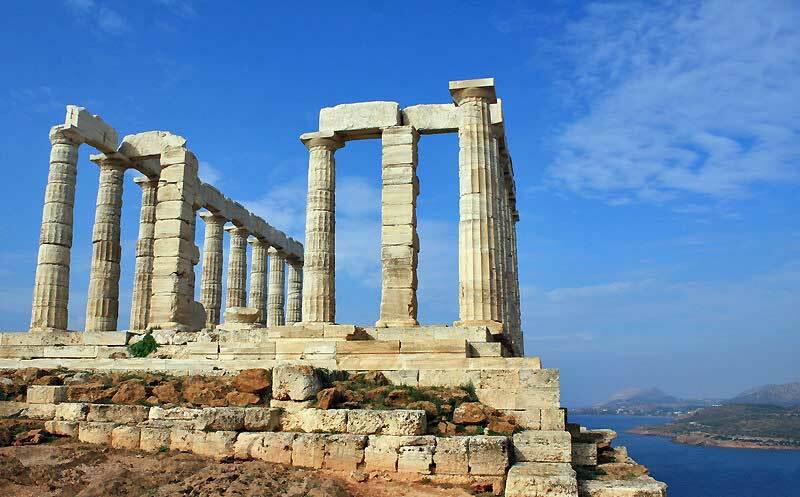 Try the Acropolis Walking Tour plus Cape Sounion and Temple of Poseidon Half-Day Trip. Visit the Oracle at Delphi on a day trip. 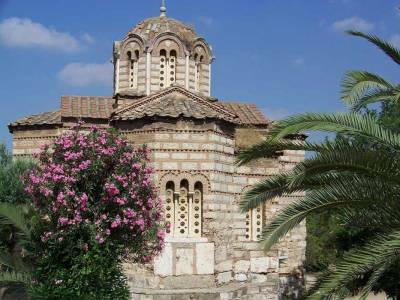 For an extended trip, combine this with a trip to the interesting cliff side monastery at Meteora on a Two Day Trip to Delphi and Meteora. Take a Half Day Trip to Corinth to see the ancient site and the modern Corinth Canal. 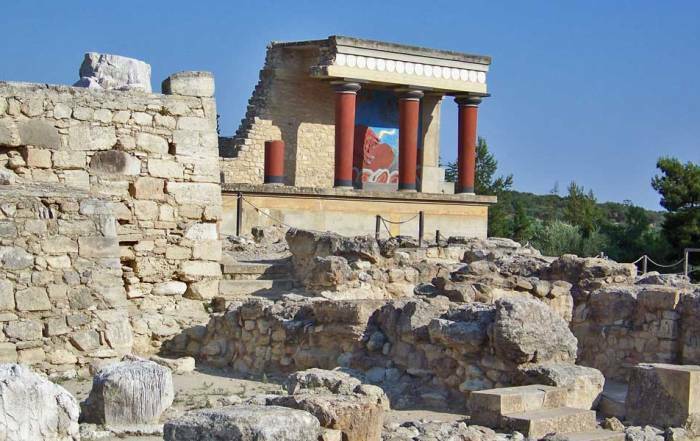 Mycenae and Epidaurus Day Trip from Athens. Gyros made from meat carved off a rotating shawarma, with fries included in the pita wrap. Loukoumades – fried balls of dough drenched in honey and sprinkled with cinnamon. Bougatsa – pastry with custard, cheese or minced meat between layers of phyllo pastry. Spanakopita – spinach in phyllo pastry. Fanouropita – spicebread with ground cloves and cinnamon. Koulouri – circular bread with sesame seeds. Moussaka – potato pie with layers of tomato, aubergine and white sauce. Melitazanopitakia – eggplant pies. The Athens weather in summer makes it a popular tourist destination. Average temperatures peak in July and August at 82 F (28 C), while lows are about 72 F (22 C). The popularity of Athens weather is increased in summer because you can expect no rainfall then. From December to February average highs are 54 F (12 C) and average lows are 45 F (7 C). Rainfall is highest in the month of December. Consider spring or fall to avoid the height of the tourist season. A cab takes about an hour to get to Athens from Eleftherios Venizelos International Airport (ATH). You can also take the metro train into the city from the airport. The metro can be a challenge for the novice tourist, because all the signs at the airport are in Greek. Taking the metro is a much cheaper way to get to Athens and it’s fairly quick as well. The metro takes you directly to the downtown core at Monasteraki station near the Acropolis. From there you can walk to the Parthenon and the Ancient Agora or catch another metro line to the port at Piraeus. You can also reach the port of Piraeus on the metro system. Piraeus is basically a subdivision of Athens. Piraeus provides access to the Aegean Sea for numerous ferries and is the docking location for a host of cruise ships in the summer. 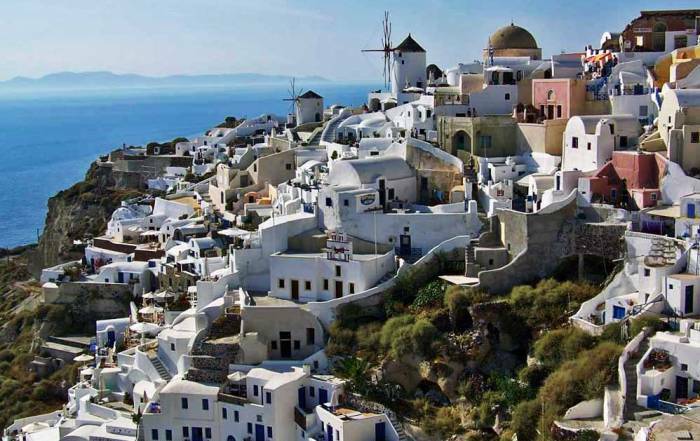 Athens is the capital and largest city in Greece,. About 3 million people live here. Athens has a long history from classical Greek times to a Roman occupation and rules by the Byzantines and Ottomans. 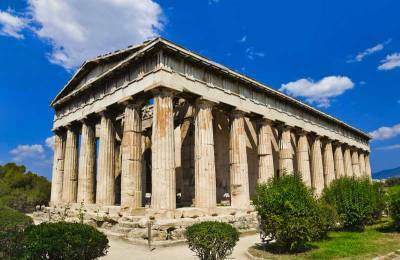 The most famous attraction in Athens is the Parthenon, which dates back to 447 BC. Athens has a long standing grievance with the Royal British Museum over artifacts from the Parthenon. 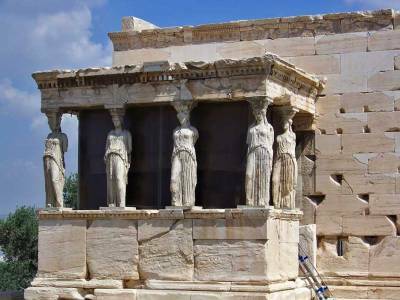 Many priceless sculptures from that Parthenon, including the Parthenon frieze, were taken to London in 1801 by Lord Elgin. Lord Elgin claimed concern about the preservation of the ancient artifacts. Greece has repeatedly requested their return, but with no results.